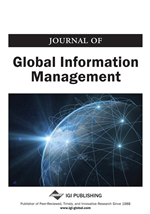 This article reviews and contrasts the experiences of two major companies in attempting significant change projects incorporating information and communication technologies. It does so by utilizing and critiquing the MIT "Management in the 1990s" model and by reflecting on socio-technical approaches to organizational change. It makes the point that while much of current attention is on electronic commerce as it pertains to industry transformation and inter-organizational relations, it is nonetheless a phenomenon that can impact complex internal relations and communication in addition. Additionally, conclusions are drawn with respect to the process of change and the need for further longitudinal studies when researching change projects of this kind.